The Painted Canyon Sofa Table by VFM Signature at Virginia Furniture Market in the Rocky Mount, Roanoke, Lynchburg, Christiansburg, Blacksburg, Virginia area. Product availability may vary. Contact us for the most current availability on this product. Storage Drawer Dimensions: 10.5" x 11.25" x 3.5". Shelf Dimensions: 47.5" x 15.5" x 8.25". Bottom shelf is 3" off floor. 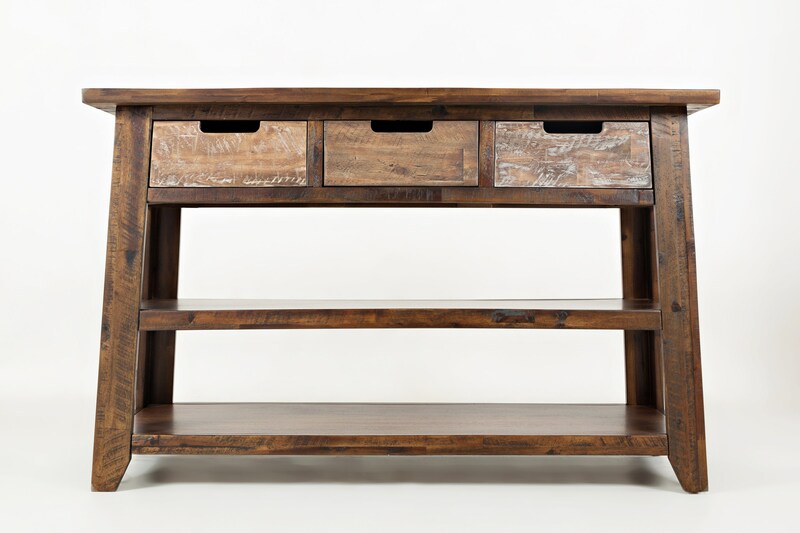 Browse other items in the Painted Canyon collection from Virginia Furniture Market in the Rocky Mount, Roanoke, Lynchburg, Christiansburg, Blacksburg, Virginia area.